Permit your child to complete a noble LARP quest or reenact history. 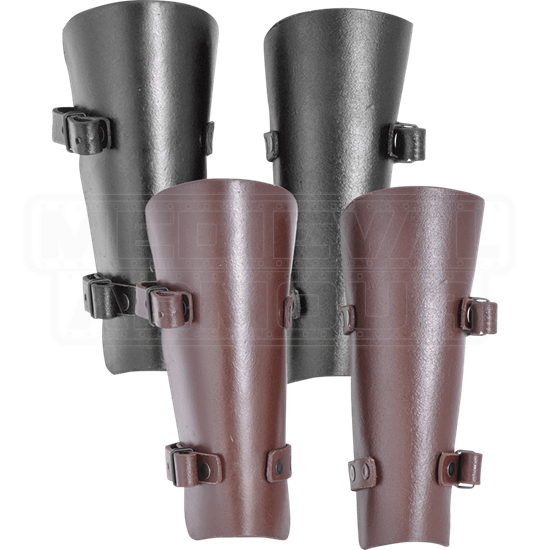 When combined with our padded bracers and the matching armour pieces, these Kids Felix Leather Bracers ensure the young warrior is ready for an exciting adventure. 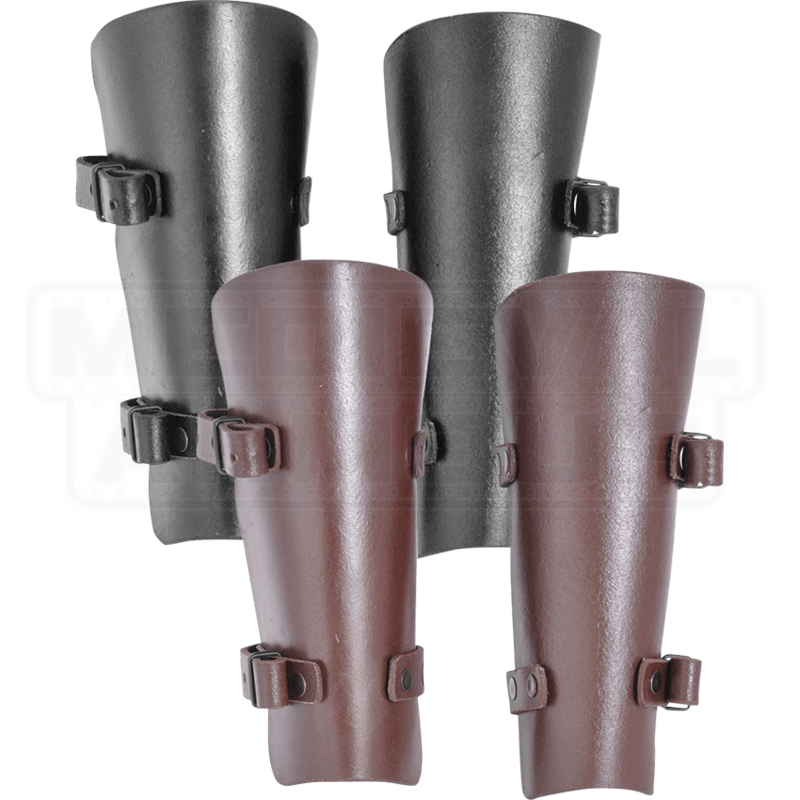 Whether your son or daughter chooses the role of Viking raider or medieval knight, these bracers offer protection for the forearms. Handmade from split leather, this pair follows a simple design that matches a wide variety of looks. Two sets of buckle straps adjust the fit at the wrist and below the elbow. Create a complete look by combining these bracers with the rest of the Felix armour and battle gear.